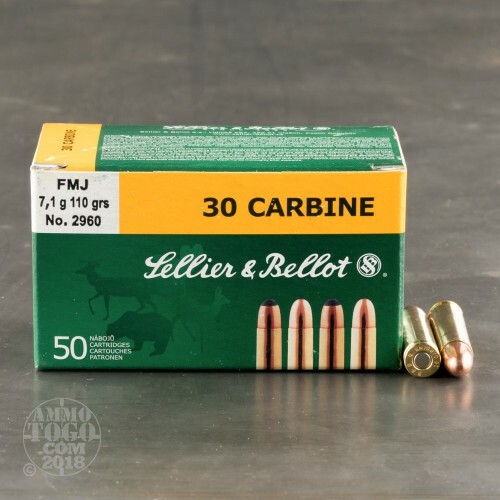 One of the oldest ammunition producers in the world, Sellier & Bellot has been manufacturing high-quality ammo since 1825. 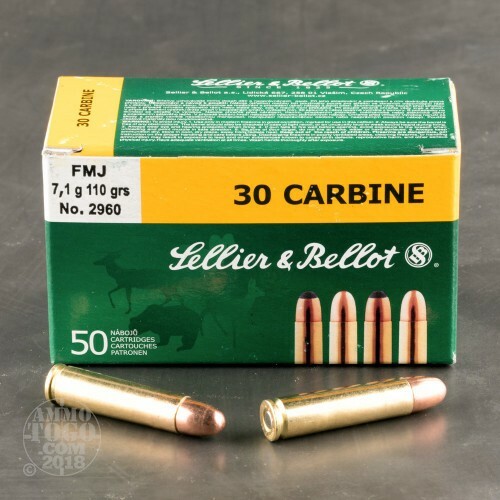 Sellier & Bellot is headquartered in the Czech Republic and is a member of the CBC group of ammo manufacturers which includes names like Magtech and MEN. With almost two centuries of experience producing high-quality ammunition, Sellier & Bellot is a name you can trust to provide accuracy and reliability. 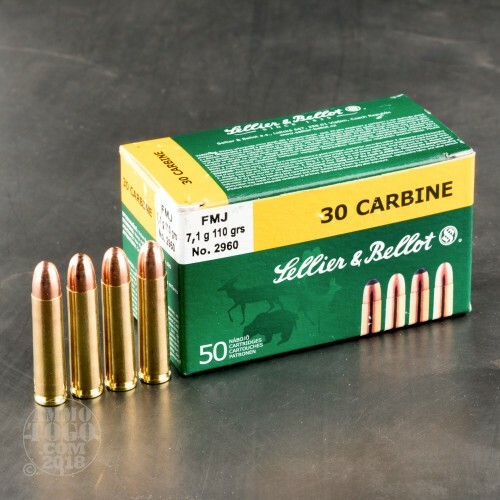 This SAAMI approved, factory fresh .30 Carbine ammunition is non-corrosive, boxer primed, and features fully reloadable brass casings. 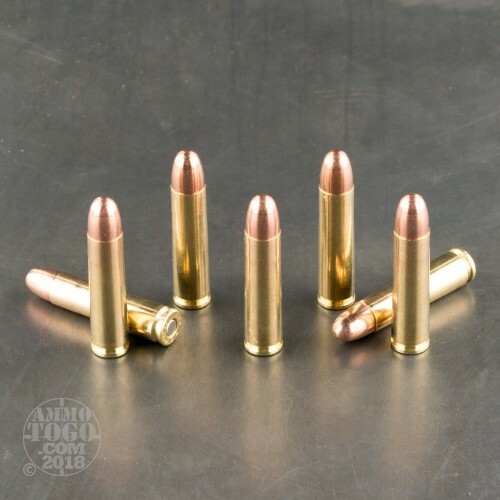 Loaded with 110 grain full metal jacket (FMJ) projectiles, these rounds are best suited for range training and recreational plinking. FMJ bullets are designed with a lead core and full copper jacket that limits expansion and prevents lead fouling for cleaner shooting. Leaving the muzzle at a velocity of 2024 feet per second, each round produces a muzzle energy of 1001 foot pounds. Perfect for long-term storage, primers are sealed with a red lacquer for increased moisture protection. All 50 rounds are then packed into oil resistant boxes designed to extend shelf life. A little pricy but well worth it, my Auto Ord repro shoots nice groups at 30 foot indoor range, a couple of cloverleafs if I do things right!